I made this fun and easy baby quilt for my friend Betty’s new grandbaby boy due next month. I used three different shades of my habd dyed gray fabric to create a 36″ x 45″ on point quilt top, that’s the size of a package size of a crib size batting. 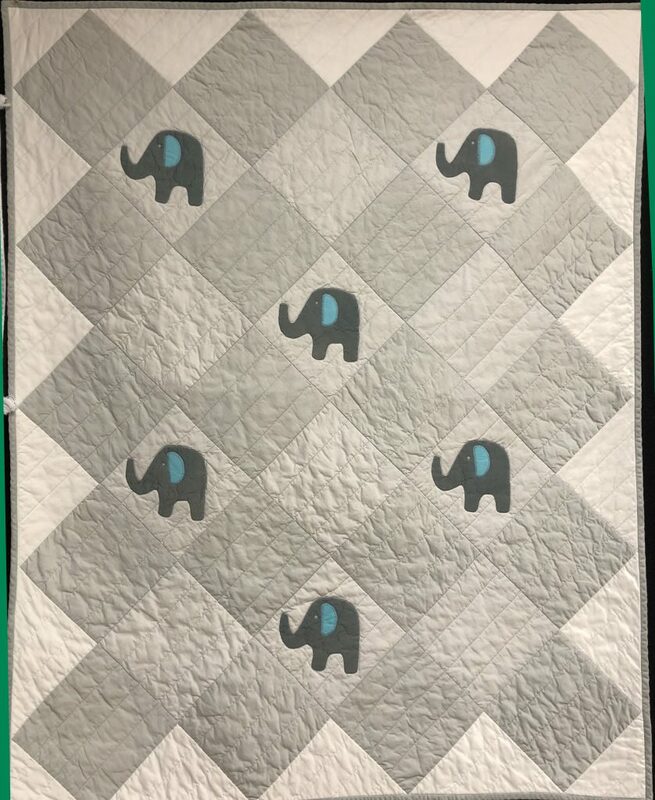 I added machine appliqued elephants to the top to make the quilt more fun. The pop of turquoise for the ears adds a much needed punch to liven up this little quilt for the baby boy to come. I always wash the quilt before I give it away to make sure that the dyes don’t run and that it has that soft loved look. I make sure to tell the recipient that this is a quilt to use, not save. I like using this square on point setting for quick projects like this because it makes a simple design look so much more fancy with no added effort. I machine quilted it very simply with straight lines every 1.5″, that also makes it really quick to finish. This project took just a weekend from start to finish. It was very easy to do in and I know so appreciated. I love giving hand made gifts, especially to people I know will love them. 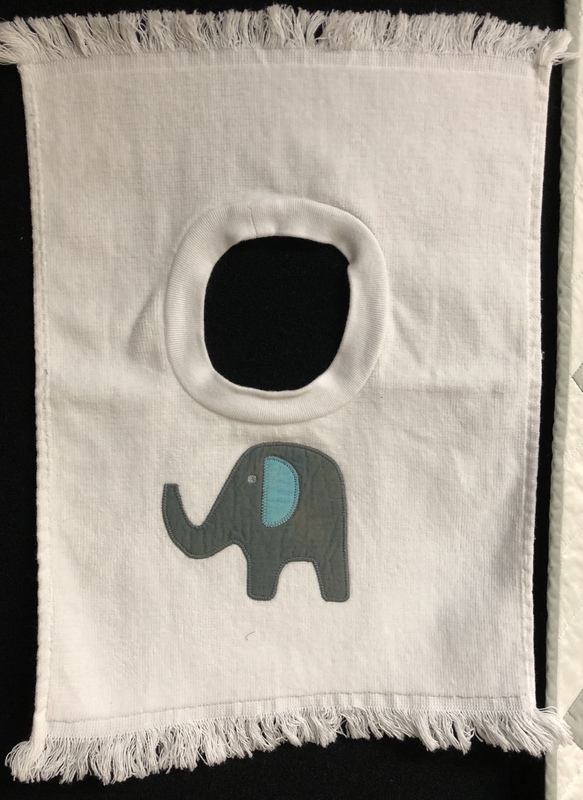 I made a bib to go with the quilt from blank bibs I get from Dharma Trading Company and add in a few books for the new family to complete a really perfect baby gift. A very happy mom to be!